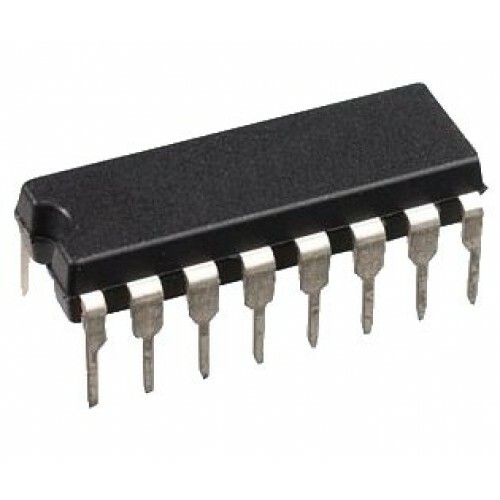 The 74HC165 16-pin chip is an 8-bit parallel or serial-in shift registers with complementary serial outputs (Q7 and Q7) available from the last stage. When the parallel load (PL) input is LOW, parallel data from the D0 to D7 inputs are loaded into the register asynchronously. When the PL is HIGH, data enters the register serially at the DS input and shifts one place to the right (Q0→Q1→Q2, etc.) with each positive-going clock transition. These devices are commonly used to expand port input to microcontrollers. The 8 parallel digital inputs are fed to the microcontroller serially and only require 3 pins on the microcontroller. These devices can also be daisy-chained to add extra ports without the use of extra microcontroller pins.